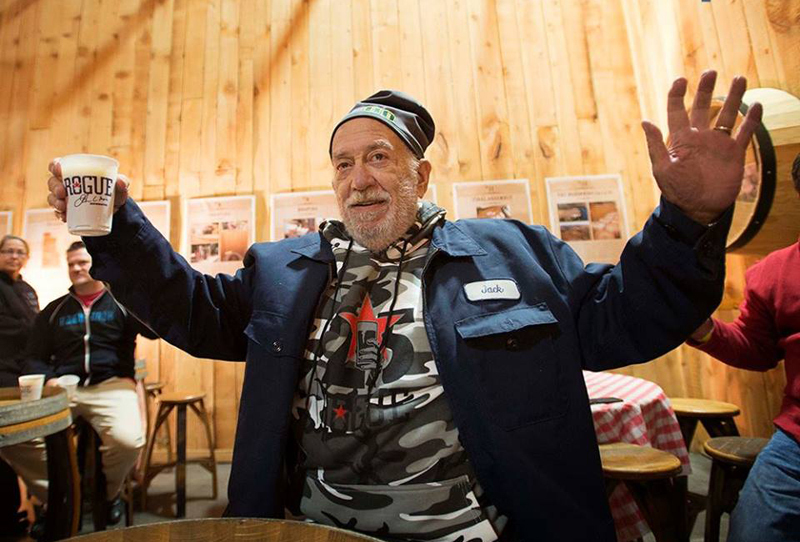 Rogue Ales & Spirits will honor the legacy of co-founder Jack Joyce with a virtual toast this Friday at 5:42 p.m. PST. This Friday, the Rogue Nation will celebrate the memory of Rogue Ales & Spirits Co-founder Jack Joyce, who died last week. To honor Joyce, Rogue will hold a virtual toast Friday evening starting at 5:42 p.m. PST (8:42 p.m. EST). Rogue invites anyone to share a toast on Twitter, Instagram and Facebook by using the hashtag #JackJoyce. Learn more about the virtual toast on Facebook.